DUBAI: High-profile Indian businessmen in the Gulf are to lead the way in how audiences in India are going to see their movies at the cinemas. And nothing less than a complete makeover to viewing habits is being planned. A consortium — named “Indywood” — was formed with the express aim to upgrade — or build new — cinemas across India to 4k viewing standards. Last year, 50 Indian millionaires came on board, and promising to build a state-of-the-art facility in their “home towns”. Dr B.R. Shetty of NMC Healthcare is one such investor and Confident Group’s C.J. Roy is another. “The plan is to bring in 2,000 investors/corporates on board and they will be committing funds from their marketing and branding budgets,” said Sohan Roy, Chairman and CEO of Sharjah-based Aries Group. “It’s way too early to think about such commitments as investments because there is no guarantee on when the likely returns will happen. There is no corporate structure in India’s cinema exhibition space. India currently has “fewer than” 50 screens where 4k viewing can be done. As such, many of these were commissioned recently. Indywood’s target is to raise the number to 200 screens by year-end. Roy says the fault lies with the rundown theatres — many dating back to the 1960s — that are part of the Indian city landscapes. And he has the personal — and bitter — experience to talk about it. He had directed a big-budget movie — Dam 999 — that released in late 2011. The movie was even nominated to be India’s Oscar entry — in the foreign language category — that year. But that was just about the only good news. 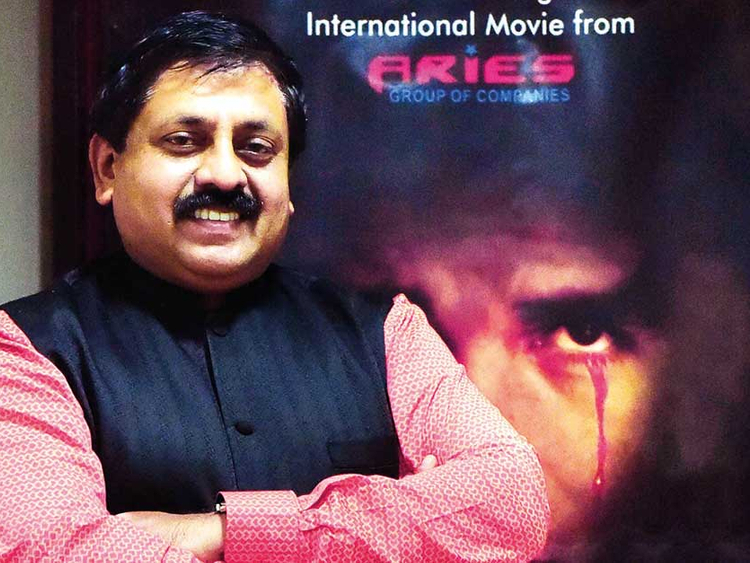 “It was the first 4k scan movie in India and made with 100 per cent sync-sound,” said Roy. “I ending up losing Rs220 million (Dh12.71 million) on the original budget of Rs460 million — that was quite an expensive lesson for me. I could not deliver the final product in the format I made.